Teach Laugh Plan: Everyone loves a party! Everyone loves a party so click on the picture below to get more details on how to join A Teacher's Treausre New Years Resolutions Linky party! 1. Get my weight back in check! My goal is not a specific number but just to feel good and not be embarrassed about my weight. Darn, it would be nice to be able to wear shorts here in the hot TX summers! 2. Declutter and Organize! I'm a pack rat and I don't like to throw anything away but I need get rid of anything I haven't used in a year (at least) then organize everything else I keep! 3. Don't sweat the small stuff! I am really going to try not to stress over things I don't have any control over. 1. Declutter and Organize! (Uh Oh, do you see a trend here?) I want to get rid of my teacher desk that I only use as a place to hold all my piles. I will give away anything I haven't used or needed this year and organize the rest of my stuff.........including my huge classroom library! 2. Stay upbeat and concentrate on the positive ONLY! As my friend Cathy says, "No stinkin' thinkin'! 3. Learn as much as I can about our new state assessment (STAAR) and use my TEKS (Texas Essential Knowledge and Skills) when planning EVERYTHING! Your resolutions sound exactly like what I need to do this year! My daughter is getting married in November and I want to be thinner (actually I want to look fabulous) and I don't want to be stressed at home or school (clutter and disorganization add to that!!). I also wanted to do a fun book study with teachers from my school - - we wanted something different (because, quite frankly, we are tired of all the professional reading). So, we are starting "The Happiness Project" on January 1st. I am so excited, as are a lot of the teachers who are doing this with me - - we want to make some changes in our lives, and we are hopeful that this will be the read that will help us to accomplish our individual goals! All the best to you as you successfully work through all of your resolutions, and make them just a normal part of your days!! Organization of my home is top of my list too. I did the library thing in the class two years ago and, honestly, it makes me feel good every time I walk by. I hope you are able to get that goal met. Thank you for sharing your goals with us. It makes me want to go make a list of my own! 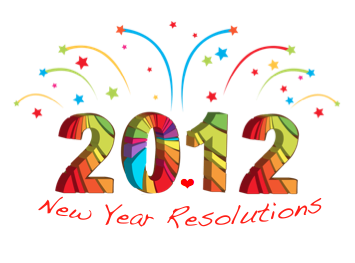 I think your resolutions are great!!!! Lol I just did my resolutions and your number one and three on personal are my one and two! Great goals! Thanks so much for sharing! !